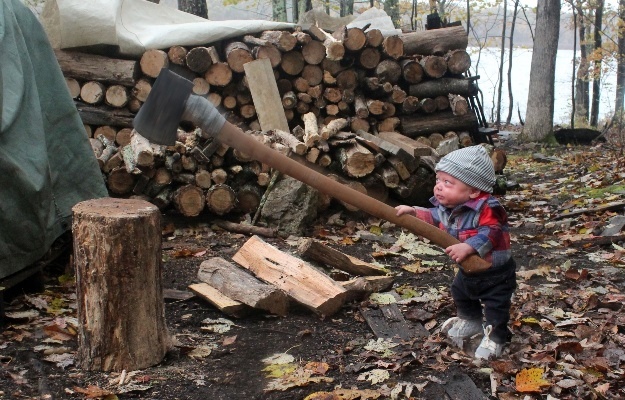 A creative American dad has shared an unforgettable photoshoot with his newborn son, which shows him undertaking hilarious “manly” tasks – including fishing, lifting weights and chopping wood. 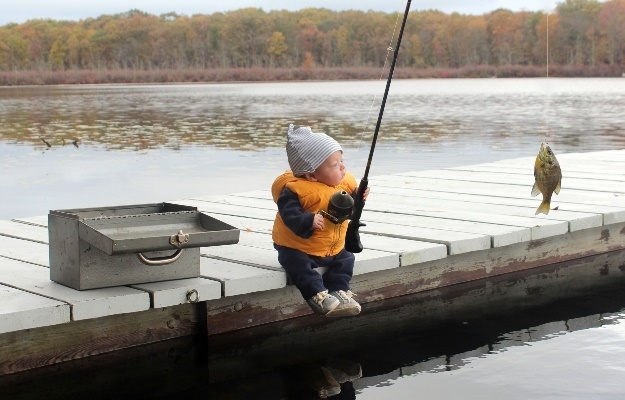 A creative American dad has showcased an unforgettable photoshoot with his newborn son, which shows him undertaking hilarious “manly” tasks – including fishing, lifting weights and chopping wood. In a bid to go against the grain of a typical newborn photoshoot, Matt MacMillan dreamed up a unique project that saw son Ryan, now six months, propelled into an array of mundane situations. The 31-year-old dad of two, from New Jersey, USA, began photographing Ryan when he was just two months old, following the infant’s frightening six-week stay in the neonatal intensive care unit after being born nine weeks premature, in July 2018. The proud father said his son’s rocky start in life was what inspired the project. Matt and his wife Alyssa (32) joked that Ryan is “advanced” for his age – and therefore could breeze through the adult tasks showcased in his photoshoot. “My wife and I like to joke that he’s not premature, but just advanced, which is where this idea stemmed from,” Matt said. “She helped me with everything. One of us would hold him in different positions, and then I’d just edit us out, so it looks as if he’s doing it all by himself. 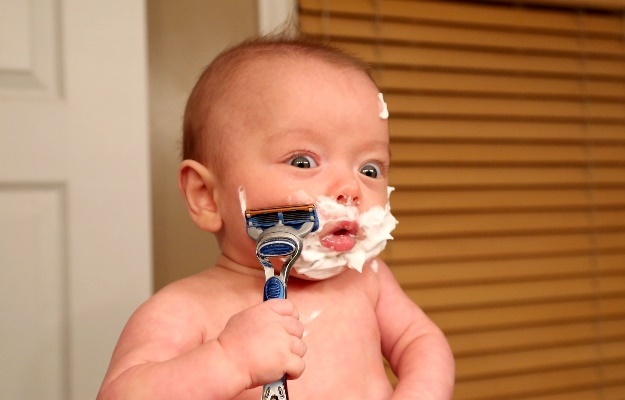 The hysterical photoshoot shows little baby Ryan undertaking a variety of tasks, such as shaving his face, mowing the lawn, fixing a car, playing poker, lifting weights, chopping wood and even carving a huge Thanksgiving turkey. The dad said one of his favourite images he crafted of his son showed him going to work dressed up in a spiffy vest and trendy hat, along with a little briefcase in hand. 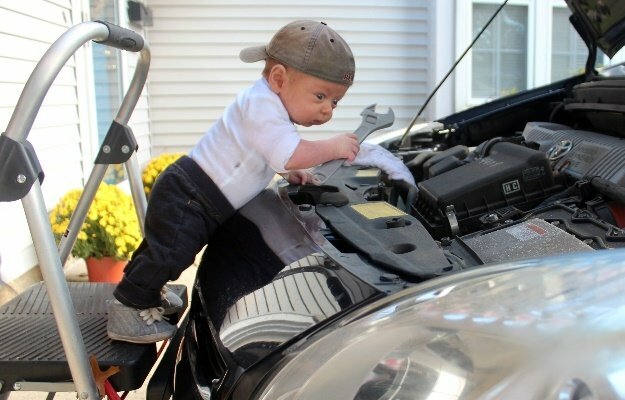 Matt, who’s a mechanical engineer, said he loves being creative with Photoshop and video editing in his spare time – and also created a similar project for his daughter Ella (2) back in 2016, which showed the baby girl partaking in a variety of impressive sports. But the dad added that his incredible Photoshop skills might have been too convincing after he received some chiding comments from people online who expressed their concern for Ryan’s welfare because they believed that the scenes in Matt’s photographs were real. “It was funny, because I’ve received some angry comments from people who actually think that it’s real. 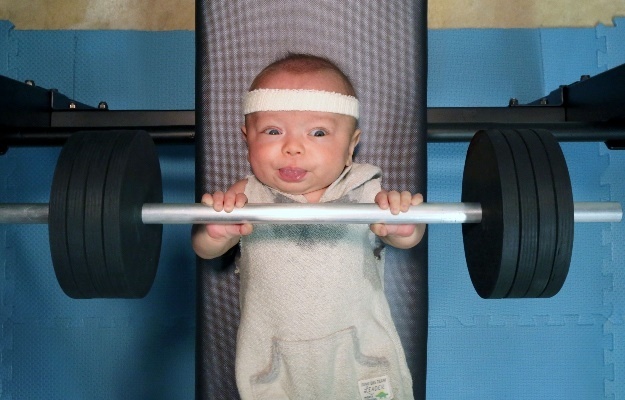 “I mean, there’s no way a baby could lift an axe that size or go fishing or carve a turkey. He couldn’t even walk.